Bai B., 2017. Eocene Pachynolophinae (Perissodactyla, Palaeotheriidae) from China, and their palaeobiogeographical implications. Palaeontology, 60: 837-852. Bai B., Wang Y-Q, Mao F-Y, Meng J, 2017. New Material of Eocene Helaletidae (Perissodactyla, Tapiroidea) from the Irdin Manha Formation of the Erlian Basin, Inner Mongolia, China and Comments on Related Localities of the Huheboerhe Area. American Museum Novitates: 1–44. Wang H-B, Bin Bai, Yan-Xin Gong, Jin Meng, and Yuan-Qing Wang, 2017. Reconstruction of the cranial musculature of the paraceratheriid rhinocerotoid Pappaceras meiomenus and inferences of its feeding and chewing habits. Acta Palaeontologica Polonica, 62: 259-271. Mao F Y, Li C-K, Meng J, Li Q, Bai B.,, Wang Y-Q Zhang Z-Q, Zhao L-X, Wang B-Y, 2017. Introduction to terminologies of tooth enamel. microstructures and a proposal for their standard Chinese translations. Vertebrata PalAsiatica, 55: 347–366. Wang H B, Bai B., Meng J, Wang Y Q, 2016. Earliest known unequivocal rhinocerotoid sheds new light on the origin of Giant Rhinos and phylogeny of early rhinocerotoids. Scientific Reports, 6: 1–9. Bai B., Wang Y, Meng J, Li Q, Jin X, 2014. New Early Eocene basal tapiromorph from Southern China and Its phylogenetic implications. PLoS One, 9: 1–9. Bai B., and X. Wang, 2013. A review of methods in carbon and oxygen isotopic analyses of　tooth enamel from the small fossil mammals, Vertebrata PalAsiatica, 51 (3), 204-218 (in Chinese with English abstract). Wang H.B., B. Bai, F. Gao et al., 2013. New eggysodontid (Mammalia, Perissodactyla) material from the Paleogene of the Guangnan Basin, Yunnan Province, China, Vertebrata PalAsiatica, 51 (4), 305-320 (in Chinese with English summary). Bai B., Y.Q. Wang, J. Meng, X. Jin, Q. Li, and P. Li. 2011. Taphonomic analyses of an early Eocene Litolophus (Perissodactyla, Chalicotherioidea) assemblage from the Erlian Basin, Inner Mongolia, China. PALAIOS 26: 187–196. Wang, Y. Q., J. Meng, X. Jin, C. K. Beard, B. Bai, Q. LI, X. J. Ni, and D. L. Gebo. 2011. Early Eocene perissodactyls (Mammalia) from the upper Nomogen Formation of the Erlian Basin, Nei Mongol, China. Vertebrata PalAsiatica 49: 123–140. Wang, Y. Q., J. Meng, C. K. Beard, Q. A. Li, X. J. Ni, D. L. Gebo, B. Bai, X. Jin, and P. Li. 2010. Early Paleogene stratigraphic sequences, mammalian evolution and its response to environmental changes in Erlian Basin, Inner Mongolia, China. Science China-Earth Sciences 53: 1918–1926. Bai B. 2008. 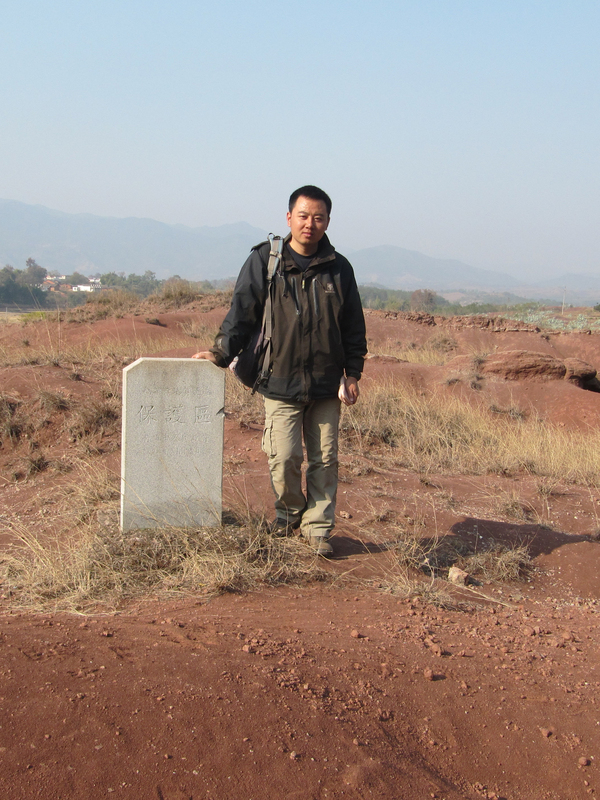 A review on Chinese Eocene chalicotheres Eomoropus and Grangeria. In W. Dong (editor), Proceeding of the 11th Annual Meeting of the Chinese Society of Vertebrate Paleontology): 19–30. Beijing: China Ocean Press (in Chinese with English summary). Meng, J., Y. Q. Wang, X. J. Ni, K. C. Beard, C. Sun, Q. Li, X. Jin, and B. Bai. 2007. New stratigraphic data from the Erlian Basin: implications for the division, correlation, and definition of Paleogene lithological units in Nei Mongol (Inner Mongolia). American Museum Novitates 3570: 1–31. Bai B. 2006. New materials of Eocene Dinocerata (Mammalia) from the Erlian Basin, Nei Mongol (Inner Mongolia). Vertebrata PalAsiatica 44: 250–261 (in Chinese with English summary). Bai B., Meng J, Wang Y-Q, Wang H-B, Holbrook L, 2017. Osteology of the middle Eocene ceratomorph Hyrachyus modestus (Mammalia, Perissodactyla). Bulletin of the American Museum of Natural History, 413: 1–70.